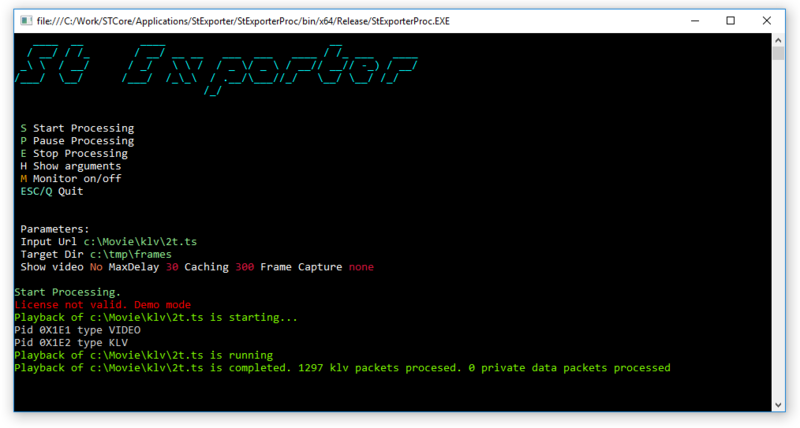 StExporter is a console application (utility) that allows exporting video frames and / or MISB metadata. Klv packets (both RAW and JSON decoded) may be sent over UDP (optional). Video and metadata are synchronized.